This is a card that I made for a very special person who has helped me tremendously since my daughters death. As most know, I moved my niece in with us last month to try and help get her life on track, but unfortunately I guess I wasn't very successful. This past Thursday she attempted suicide while I was at work. Fortunately we found her in time but she needs more help than I think I can give. So, my husband and I are looking for an inpatient program for her. I would really appreciate any prayers that you can spare for Cassandra. I hope everyone had a wonderful mothers day! This is a gorgeous caard Julie. I love pink. Sorry to hear that this has happened. I pray all will be well. This is beautiful, I love your design, papers and your colouring is amazing. So sorry to hear of your Niece is so distressed. I will add you all to my prayers. 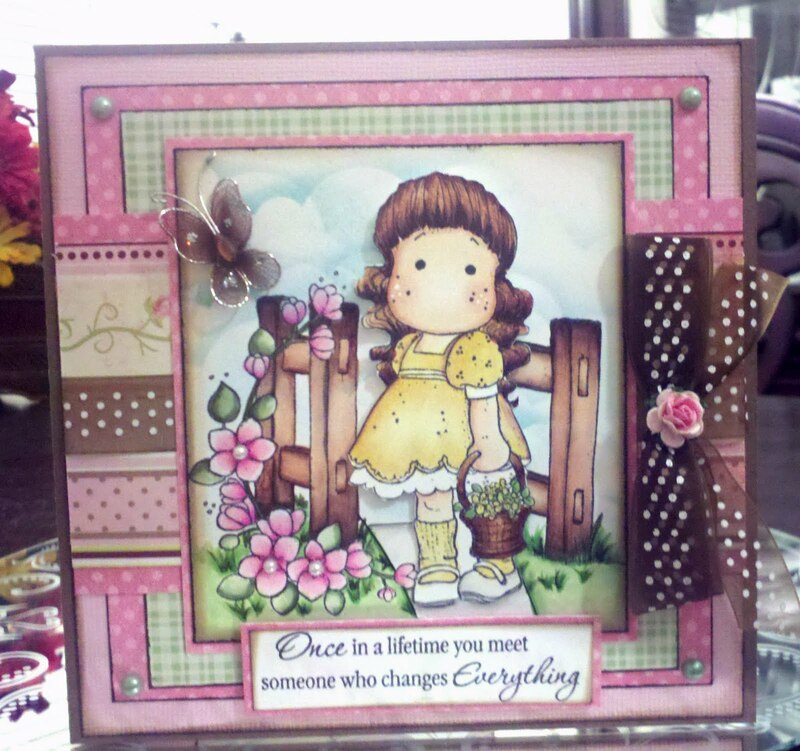 Julie, this card is so gorgeous! I'm including your family in my prayers that your niece is able to find peace and happiness in her life. She's very lucky to have you in her life. Take care and stay strong! Julie your card is so beautiful hun, I love everything. Yourcard is so pretty!!! You did a great job!!! Sorry to hear about your niece!!! Hope that things will be ok!!! Praying for you and your husband as you take on this new responsibility with your niece. God is good and will give you the strength and wisdom for each step of the way. Praying for Cassandra as well. Blessings to you. Your card is beautiful. I will pray for your neice that she may have peace within herself and courage to heal. 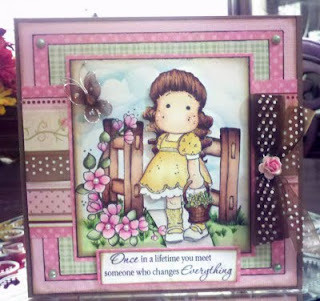 Beautiful card ~ I'm sure your friend will truly appreciate it! Sorry for your problems with your niece. Hopefully you will be able to get her into an inpatient program where she can be supervised while her soul heals. You are a brave and compassionate person to take on such a responsibility! Prayers to you and your family. What a gorgeous card!!!! Stunning work! Wishing you lots of luck with your niece...she is lucky to have you! This is beautiful! I'm so sorry to hear about your niece...my thoughts and prayers are with you and yours. Know that there are a lot of people praying for you and your family, especially your niece. Beautiful card Julie. I will keep your niece in my prayers. May she find peace and comfort. Your card is beautiful And you did NOT fail your niece....embrace your efforst to help her, seek professional help for her and just love her the way you would your daughter. I will pray for you and your niece. What a beautiful card! Your niece is so lucky to have you in her life and behind her. I will pray that she realizes what could lie ahead of her with you behind her. Beautiful card! Your colouring is fab. Your card is gorgeous. I hope everything is well with you and the in-patient program will help your niece. That's not your fault, you tried. Your niece and your family are in my thoughts. Julie your card is gorgeous. I'm sorry your niece is dealing with some very heavy issues. I pray that she will find the peace that surpasses all understanding. I will also keep you and your family in prayer. God bless you all. Your card is gorgeous. Thanks for leading us here from the Yahoo group! I was immediately drawn to your pic on your sidebar of you and your husband with your daughter that says You'll Miss her. Naturally I was curious and after scrolling thru your blog I read the story of your daughter's Car accident. Why the curiousity...I don't know, really, I guess I just wanted to know why such a young vibrant beautiful girl would be lost! I am so sorry for your loss and now with the going's on with your niece, you are someone who is in definite need of some love, hugs and encouraging words! Do u have a snail mail addy I could possibly send a card to? Your strength is amazing and your pictures, memories, scrapbook pages will keep her forever in your hearts! Your crafting is phenomenal. Keep it going. Anything that helps you breathe sometimes is worth it! Take Care. 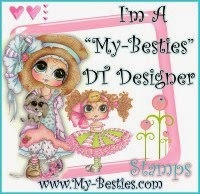 I just found your blog and just love your cards, they are beautiful. I read what a sad time you are having and my heart went out to you. Do lose yourself in your beautiful work every now and then it's wonderful therapy. Hugs.